Piccadilly, Puppies and a School Visit Tool Kit. Yesterday, I was in Burton on Trent at William Shrewsbury School doing school visitty stuff. My publisher, Piccadilly Press, are now part of Templar Publishing and had put together a lovely promo poster here… Abi School Event_Poster Template I love it, and it was great to see it displayed around the school. Pre the school visit, which was for Key Stage 1 children, I spent an evening cutting out puppies, about 200 of them actuatlly. It was quite therapeutic, although ‘Squeak’ did get decapitated when I had a moment’s distraction – not my fault, there was a brilliant programme about The Scottish Highlands on the telly… who wouldn’t get distracted? The puppies (all five of them from Grub’s Pups) are a regular part of my School Visit Tool Kit. Every writer needs a School Visit Tool Kit, and this takes some thinking about. The puppies: Pepper, Murph, Rosie, Tyke and Squeak, are magically transformed into puppy puppets by the children. I have a pre-made set that the children have while I read the stories – every time they see their character in the book they get to wave their puppet. Then, they get to make them. I doubt I’d get my set back if I didn’t tempt them with the promise that they’d each get to make, and take, their own home! I also have a whole host of Buttercup Magic resources that I take with me for work with Key Stage 2, plus some of my writing notebooks. Making resources age specific is really important, and something that took me quite a few goes to get right. Having said that, sometimes I see year sixes looking longingly at the Grub Ears, and, for a moment, I wonder. The visit yesterday was one of my fave school visits to date. It was a lovely school, and one which was actively encouraging reading, so much so that they had set up reading corners for the children, incredibly imaginative ones too. The staff were warm and welcoming and the children were a delight. 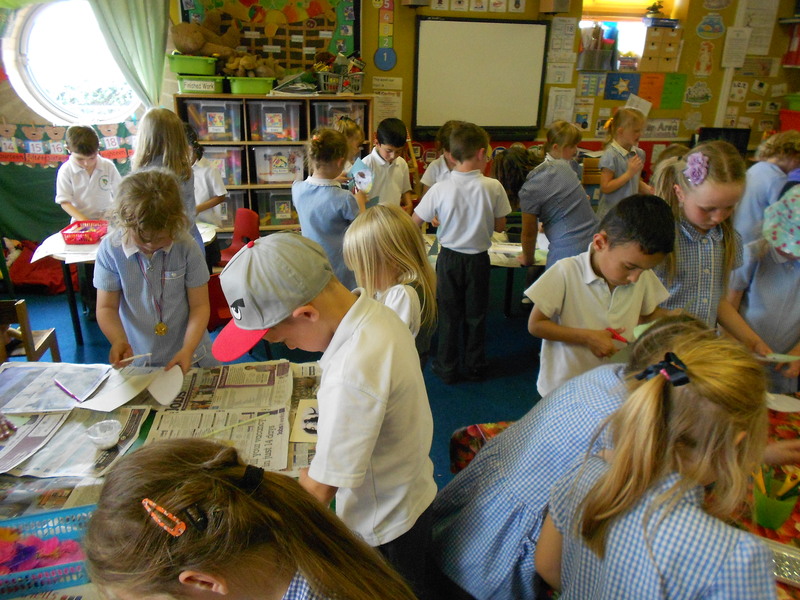 The children in Year 2 came up with a whole host of ideas for another Ruby and Grub book, which was incredibly sweet. In one year group (and this is a first) there was a real live Ruby, Megan and Freya! Had my characters really come alive? 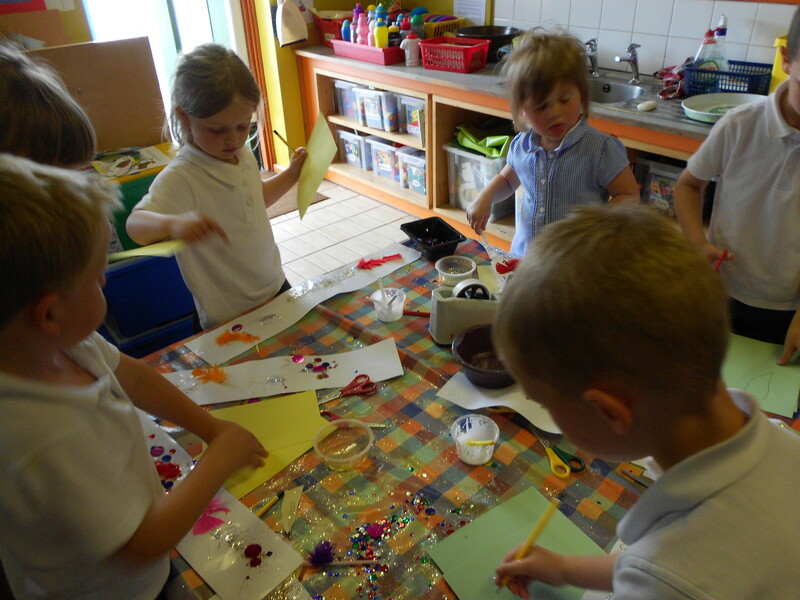 Lots of fun was had making Grub Ears and Puppy Puppets, and we all managed to get covered in glue and glitter. 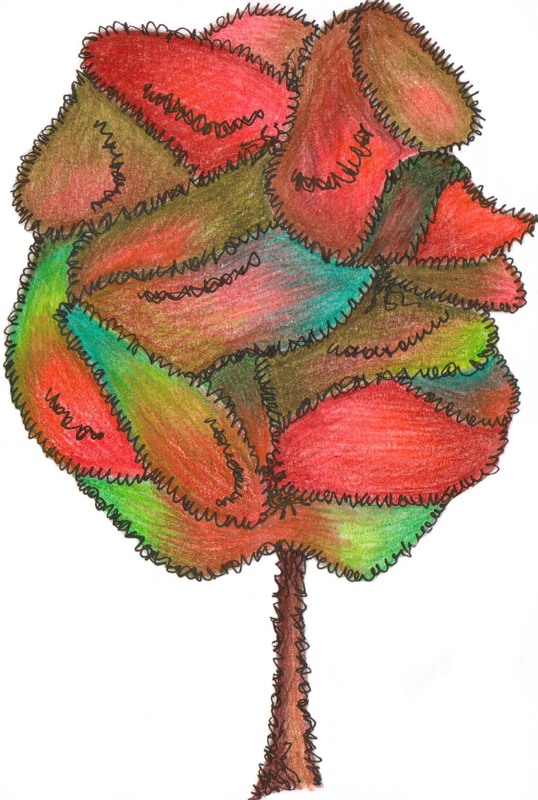 I even got to make tissue paper flowers out of those cute little circles of coloured tissue paper – remember those? So a big THANK YOU to William Shrewsbury School for making my day one to remember. Such a cool activity! And I love the pics — the kids all look so entranced with the project! And if I ever do a school visit, I’ll refer back to your kit! Sounds like you had a lot of fun. 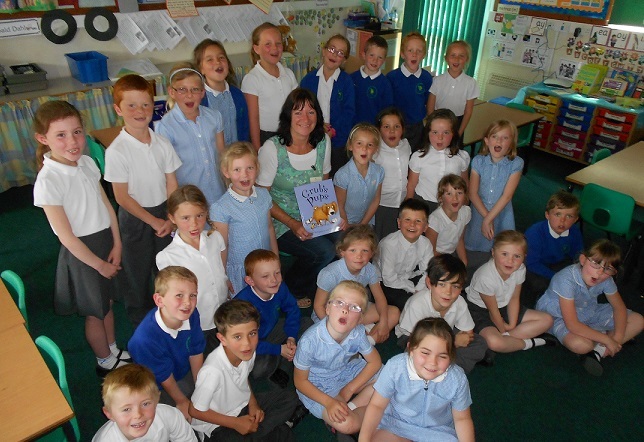 I have a number of school visits in the very near future, so I’m hoping they’ll be as fun-filled as yours was! Isn’t it wonderful when there’s a fine line between work and play … what fun you all had.